Surely everyone has heard this saying, as a way of suggesting that one’s sphere of knowledge is perhaps limited. Indulge me for a moment in an example from my own past. 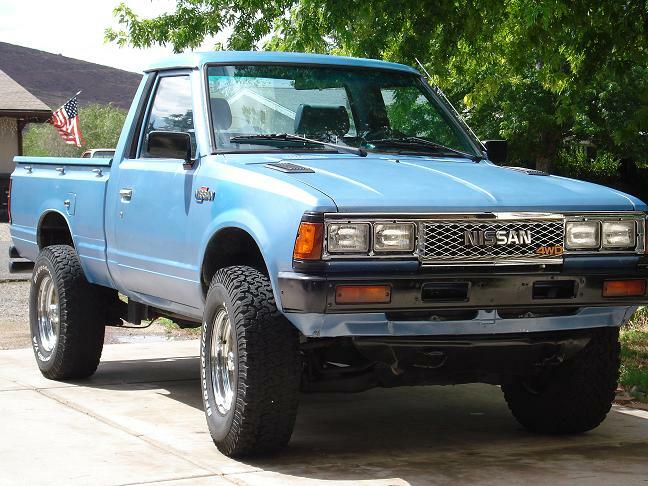 It was the early nineties and I was working on my truck, a 1982 Datsun 4×4 pickup. I had been commuting from my house in Sacramento, CA to my job in San Jose, CA, when the pitman arm decided to snap as I pulling out of a Wendy’s in Vacaville, smashing my driver’s side fender into the concrete barrier outside the drive-through. Lucky that I’d stopped for food and the failure occurred at 1mph instead of screaming down the freeway. 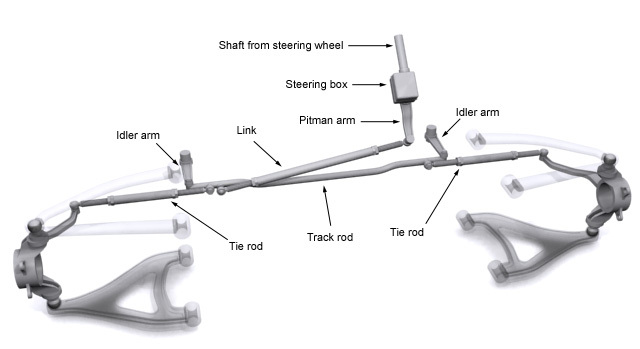 The pitman arm connects the steering box (manual or power) to the rest of the steering links. In other words, once broken, you have absolutely zero control over the direction of your vehicle. Neat, huh? A friend with a trailer came to rescue me and dragged my truck back to my Dad’s garage, where he had a large selection of tools that I could use to repair my truck. Now, first step was to get a new pitman arm, which was easily obtained (if expensive) from the local Nissan dealer. After that, it was just a matter of yanking the old arm off, bolting in the new one, and connecting it to the linkage. Right? It was perfect! 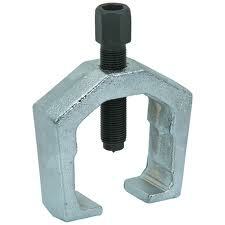 The screw would press against the steering box shaft, and pull the pitman arm off. Uh no. The “fingers” of the relatively soft metal gear puller broke about three turns in. Tool Guy: What kind of gear are you pulling? Me: I just need a really strong gear puller. Me: It’s not a gear. But I need a strong gear puller to do what I’m trying to do. Tool Guy: What are you pulling? Me: *rolls eyes* Well, if you MUST know, it’s a pitman arm. Me (to myself): Pshh, like you even know what a pitman arm is. Sheesh. 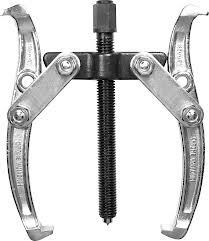 Tool Guy: Well, why don’t you use a pitman arm puller like this one? Me: Uh. Yeah. I’ll take one. No joke, once I had the right tool, the pitman arm was off in 5 minutes. I installed the new arm, aligned my steering wheel, and drove home. In the morning, I went out to drive to work, and there’s a puddle of power steering fluid beneath my truck. Uh oh. The heat from the propane torch must have melted the seals inside the steering box. Easiest fix? Get a new steering box from a junkyard and install it. 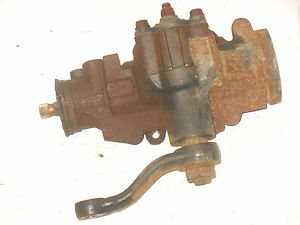 Guess what the new steering box had already installed? A perfectly functional pitman arm that I didn’t have to pull. So what lessons did I learn here? Just because you have a large number of tools at your disposal, don’t assume you have them all – or even that you know what tools exist. Simply knowing that there was a tool called a “pitman arm puller” would have saved me days of effort, and ultimately, a lot of money in replacing parts that I damaged by using the wrong tools. Always be looking for new or better tools. “I’ve always done it this way” is not a valid explanation for why you used the tool you did. “This is the best tool I have found so far, what other ideas do you have?” is a much better approach. Don’t be so arrogant as to assume you know more than everyone else – even if you happen to know a lot. No one person can contain the whole of human knowledge – reach out to experts in their respective fields (like my Tool Guy) to see if they have ways to make your problems easier to solve. Approach this research with an open mind and humility – it will serve you well. In technology, it’s very easy to get confortable with the tools/products/vendors that you’ve always used, especially if you can solve the problems you encounter with them. Even if you can solve the problem in front of you with the “way I’ve always done it”, why not be open to new options that might be easier, or solve the problem in a better way? If you get locked into solving a particular technical problem with a particular product, you may miss opportunities to discover that you’re solving the wrong problem in the first place. Taking a step back from the problem and realizing that you could avoid it in the first place by solving a problem further up the line may ultimately be more efficient. Engage experts. Be humble. Be open to new ideas, technologies, and approaches. I remind myself of these lessons every day.